Perfect for blue(moon)grass with two extra strings and an inspirational celestial themed piece of art on the head. Carpe Noctem! Seize the night with the Moonbird Series by Luna Guitars. 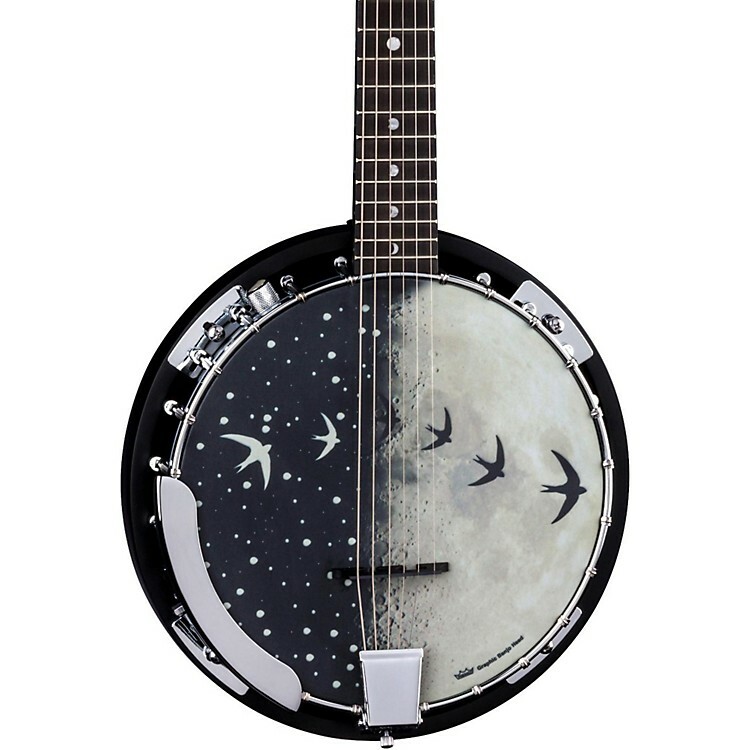 These bluegrass-style instruments are inspired by the harmony between the moon and stars. Capturing the beauty of the Moonbird flying in the night sky. This Moonbird 6-String Banjo has the standard 25-1/2 in. scale of a guitar, with the traditional resonator of a banjo. While its design is geared towards modern jams, the attack produced by the transparent head will whisk you back to pickin' on grandpa's porch. For the experimentalists, use a standard EADGBE tuning for a uniquely accented guitar tone, or open tuning for punctuated resonant drones. Top Material: Remo Head 11 in. Don't let this banjo take flight without you. Order yours today!